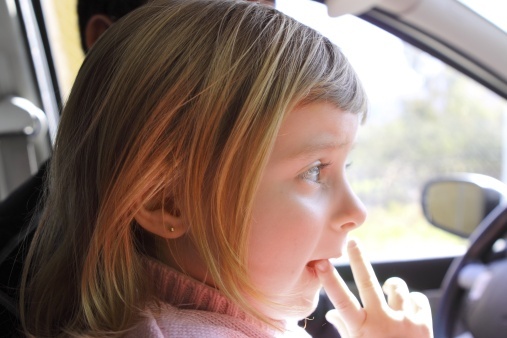 Kansas City Child Injury in Car Accident Lawyers - Horn Law Firm, P.C. Lead Attorney Doug Horn has dedicated a substantial part of his law practice to the representation of parents with injured children. Cases involving injuries to children can be complex from both a legal, medical, rehabilitation, and insurance standpoint. For these reasons, early legal consultation is recommended. Head/Neck Injuries. Most often these types of cases involve concussion and/or whiplash type trauma caused by motor vehicle accidents or falls. Bone Fractures. The majority of child fracture and joint injury cases arise due to recreational injury due to negligence . Playgrounds with a dangerous condition are an example of the type of case that demands Horn Law’s rapid response and immediate attention. Catastrophic Injury. This category includes burns, scaring, loss of limb, or injuries requiring longer-term rehabilitation. These cases require the utmost care and attention to insure the child’s future needs are met. Your child should always be restrained in a vehicle. Because both parents/guardians and their attorneys have a legal responsibility to work in the best interests of the injured child, it is important that Horn Law obtain maximum insurance settlements. Child injury settlements must be approved by the Court and account for a wide range of damages including state court. As noted earlier, child and teenager injury/death injuries present unique challenges. From an investigative standpoint, children often do not possess the communication skills necessary to help the legal investigations. Therefore, it is important that the attorney act quickly to secure evidence and accident reconstruction. Because children often are not competent to testify under oath, special legal rules may apply concerning child statements and other testimony from minors. Child injury cases depend upon a maximum recovery in order to account for the medical bills and potential for future medical treatment and rehabilitation. Often child injury experts are needed to offer expertise as to the future damages that the child and their family may face. These, and other factors, dictate that any injury to a child or teenager be handled with extra care and caution. The following is the criteria we follow with respect to providing legal representation in child injury cases. The decision to engage legal representation in an injury case solely turns on whether the legal representation is in the best interests of the child (minor). Once legal representation undertaken, the legal representation must continue be in the best interests of the child & substantially beneficial to the child. During the course of legal representation, Horn Law has a duty to devote their full professional abilities and resources in order to maximize the child’s recovery.